Experience the magic of Easter with activities the whole family will enjoy. On Friday, April 19, Saturday, April 20 & Sunday, April 21 from 10am-4pm, the Easter Bunny will be wiggling his nose, crunching carrots and of course, hiding eggs at the farm. 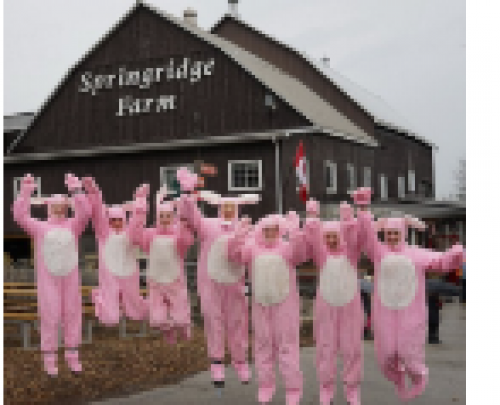 Admission to Easter Festival is $13.00 per person and includes: *Egg Hunt with the Bunny *Eggcellent Easter Professional Puppet Show *Bunny Face Painting *Bunny Ears to colour and wear *Access to the Fun Farm Yard *Baby Animals *Wagon Ride Farm Tour *Singing Chicken Show This is also opening weekend at the farm - explore their springtime selection of home decor and enjoy their fresh baking for your Easter entertaining!